Did you know that manta rays have the biggest brains of any fish? Their brains have hugely developed areas for problem-solving, learning, and communication. These ultra-smart fish are known for swimming close to divers to get a closer look - will you know what to do? 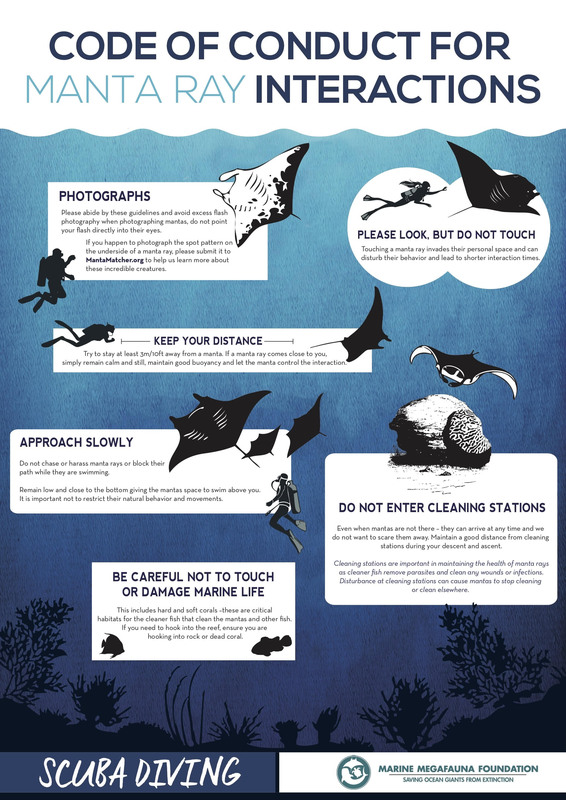 The Marine Megafauna Foundation, one of our partners, has graciously supplied us with their Code of Conduct for interacting with manta rays. Check-out our Manta Ray Travel Guide for the best places in the world to see mantas.